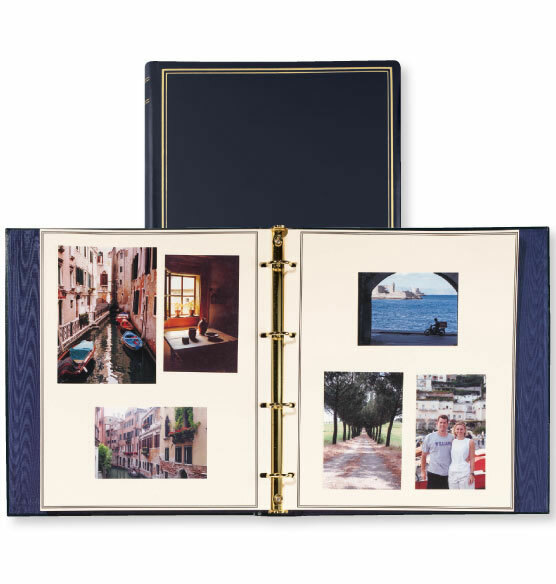 Organize family photos, holiday photos, wedding photos and more inside our Oversized Photo Album: Presidential. Mix and match pages filled with photos, newspaper clippings and memorabilia using four metal rings to hold pages securely in place. PersonalizedThings by Exposures oversized photobook are also great for displaying certificates and artwork. Personalize the antiqued top-grain leather cover with up to three lines of custom gold text. Comes in several classic colors. I am pleased with the album. My only concern was that the overall gloss on the leather was not uniform. Also one letter on the personalization was crooked. Other than that I can say that anyone ordering this Presidential album should be pleased with the construction and I would give it a good rating. I have used these oversized albums for almost 20 years. The album itself is very good quality; the negative is the quality of the personalization. Sometimes over the years it is not totally straight or has some "gold' missing from some of the letters...details that some might not notice, but as a perfectionist I do...and should expect when I pay $100+ for an album. 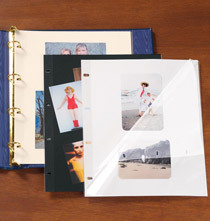 The other bummer is that just in the past month Exposures Online has stopped carrying the oversized designer ivory scrapbook pages I have used for almost 20 years. Exposures indicated that they have stopped buying the pages from the suppier. Exposures was not willing to, even with the manager's input, to share the vendor. Oh well, they say sorry but for me - who has spent $1000s of dollars with the company - I see it as a lack of customer service to long standing customers. 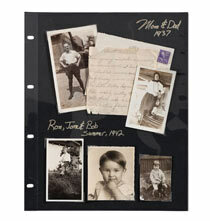 This would be a perfect scrapbook for Memorbilia if the binder ring was larger, at least 2" or 2.5 inches. 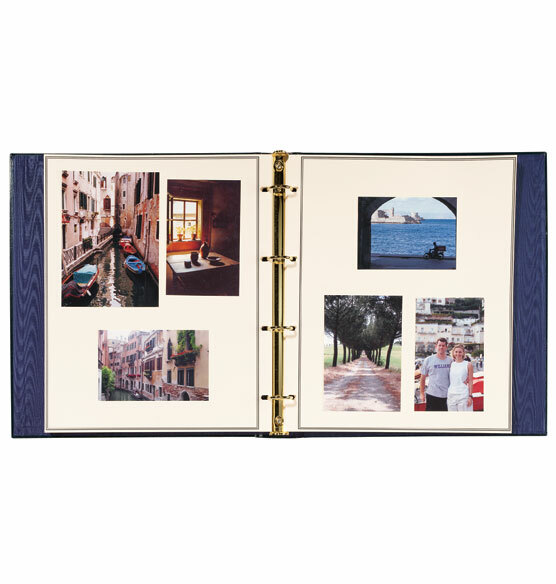 This is a great album to preserve documents, photos and newspaper clippings but these things are naturally bulky. The 1 inch binder ring is too small for this size of a book. I have purchased Presidential albums for over 20 years. They are timeless, lovely to hold, look at and look through. Although the price keeps rising, I will never use any other album. Is the personalization in all caps as shown in the preview, or upper and lower case? BEST ANSWER: My orders have always arrived in all uppercase letters. 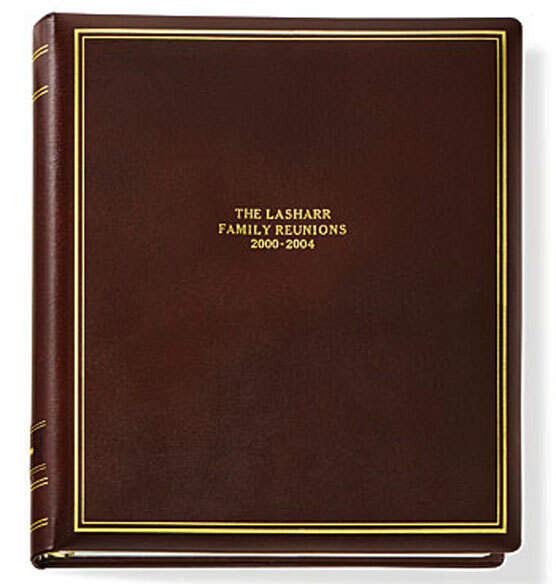 I am looking for a photo album that will hold 200 letter size paper pages (100. Plastic see thru inserts) . Do you carry that? BEST ANSWER: Thank you for your question. No, the largest amount of pages our albums hold is 80 We hope this information will be of help to you. where on this page ... are on your website to I buy the "Plain" not personalized spine patches? I can send you a photo of what has been delivered free from other orders. 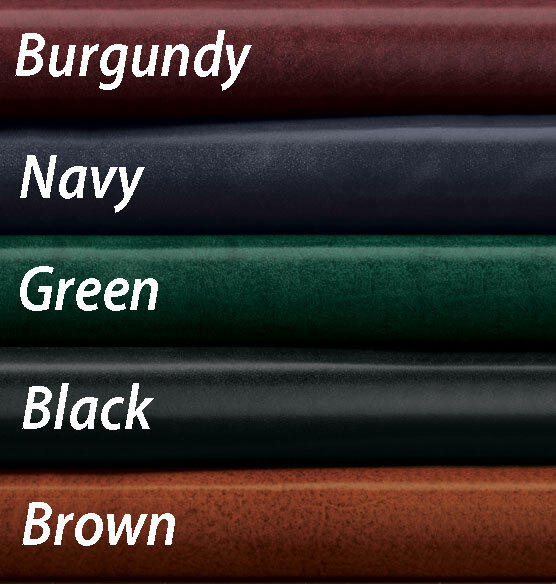 Black and maroon or burgundy color? My other orders of this model have a black and a burgundy patch on the spine. Does this come with those? BEST ANSWER: Thank you for your question. No, the spine patches are sold separately. We hope this information will be of help to you. Can I purchase Vol. # spine labels for this product? BEST ANSWER: Thank you for your question. Spines are sold separate. We included the link below. We hope this information will be of help to you. 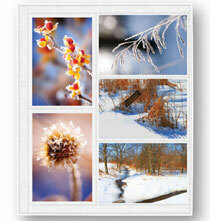 Will an 8x10 print fit HORIZONTALLY on a page? 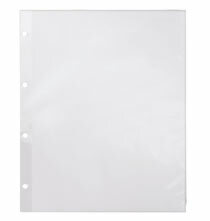 Are you still offering soft white pages with clear plastic cover sheet? BEST ANSWER: Thank you for your question. The pages that fit this album you are inquiring about are in the link below. The pages dimension is 11 9/16" x 14". We hope this information will be of help to you. How many inches are between the rings? BEST ANSWER: Thank you for your question. The space between the rings are 3 3/8". The dimension from top ring to bottom ring is 10 5/8". We hope this information will be of help to you.